Patience has been rewarded. Finally, we can bring you camera-trap footage showing full body images of a large male Caucasian Leopard in the Caucasus Wildlife Refuge. World Land Trust (WLT) has received astonishing footage of an adult male Caucasian Leopard. The video shows the leopard lying in wait, at times absolutely still, intently watching for prey. 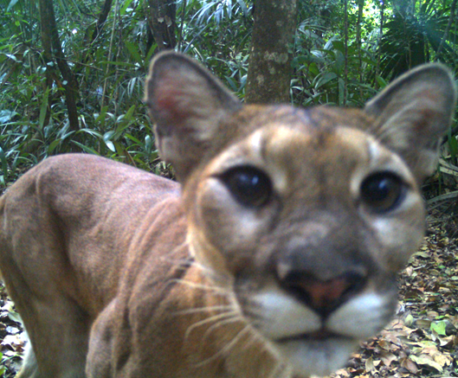 The film comes from WLT’s Armenian partner, Foundation for the Preservation of Wildlife and Cultural Assets (FPWC), and was recorded on a camera-trap funded by WLT. “We knew that if we were patient the leopard would eventually show its whole self as we’d only had glimpses of his tail and body on previous footage taken by the cameras,” said John Burton, WLT’s Chief Executive. WLT’s previous coverage of the leopard caused a media storm in Armenia and in July a camera-trap video of the tip of the leopard’s tail had 26,000 views on WLT’s YouTube channel in 24 hours. Thanks to the camera-traps, experts now have enough information to be able to piece together aspects of the leopard’s history. 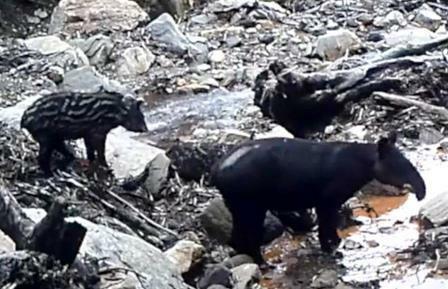 Our delight, however, was tinged with sadness as the camera-trap video footage reveals that the animal had sustained a serious injury in the past and part of its right, hind leg is missing. “I believe it was an illegal trap that broke his leg, as we have a huge problem of illegal hunting here,” explains Ruben Khachatryan, founding director of FPWC. The good news, however, is that despite this impediment, Ruben confirms that the leopard is in good condition and its weight clearly indicates that it is fully able to hunt enough prey. Nevertheless FPWC took advice from its partner experts as to whether the animal would be strong enough to survive the harsh Armenian winter or if it should be caught and cared for in a zoo. Renowned international wild cat experts were consulted, among them Sarah Christie (Head of Regional Programmes, Zoological Society of London), Linda Kerley (Amur Tiger Project Manager, Zoological Society of London), Alex Sliwa (Chair, EAZA Felid Taxon Advisory Group), Luke Hunter (President of Panthera) and John Lewis (Veterinary Director, Wildlife Vets International). The consensus was that the wound is completely healed, which indicates that the animal has survived with this handicap for several years without problem. In fact it is possible that the leopard sustained the injury as a cub and has lived with the condition from a young age. The experts all recommended relying on the animal’s natural strength and leaving him in the wild. The Caucasian Leopard is a resilient animal and a skilled hunter, and this one is clearly able to hunt with just three legs. Taking this individual into captivity would destroy all chances of this rare predator meeting a female leopard and breeding in the wild. 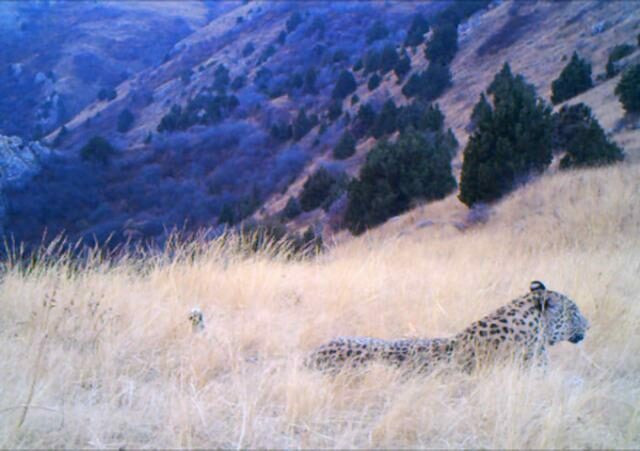 FPWC staff believe that the leopard’s territory has included FPWC’s Caucasus Wildlife Refuge since 2012 because the strictly protected area provides a safe haven and an abundance of Bezoar Goats – the Armenian Leopard’s preferred catch. Discovering more about the leopard has focused the efforts of FPWC and WLT on working together to raise funding to protect the leopard in the future. “WLT is well committed to helping our Armenian partners strengthen protection of their precious species, and we are pleased to cooperate with FPWC on a Christmas and New Year Leopard Fundraising Campaign,” said John. Funds raised will be used to step up the protection and monitoring of the Caucasus Wildlife Refuge, for example – by employing just one more ranger and by purchasing camera traps and other urgently needed technical equipment we can make a huge difference. During 2014, FPWC is planning to triple the size of the area under their protection and employ four more rangers to safeguard another threatened mountainous region, south west of the Caucasus Wildlife Refuge. Every donation to WLT’s Caucasian Leopard Appeal will bring us one step closer to achieving this goal and ensuring that leopards continue to prowl Armenia’s highlands in safety.